Lesley’s innate ability to transform spaces that reflect each client’s lifestyle is impeccable; she strives to design unique interiors that will have a positive impact on her clients’ lives. Lesley keeps the client’s daily use of the space and their vision a priority. Her balanced approach of client-focused concept, collaboration, and detail-orientation make her a pleasure to work with. Beautiful designs start with an intuition for a client’s wants and needs. Because Lesley is experienced in contemporary, transitional, and traditional interiors, she will be able to design the look you want the space to embody. Skilled at creating beautiful designs under a variety of budgets, styles, timeframes, and requirements, Lesley collaborates with her clients throughout every phase of the design process to ensure it is truly reflective of their vision. Respect, trust, and confidence is the basis of Lesley’s client-relationships and has been the key to her success as a designer. Designing a home can be overwhelming, but Lesley J. ensures that by working with her, the process will be enjoyable, stress-free, interactive and memorable. 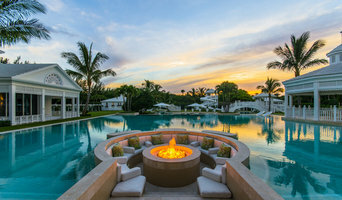 Stacy Miller Design, based in Jupiter, Florida, is dedicated to providing superior client service in the creation of distinctive interior spaces. A collaborative approach results in attractive, functional designs tailored to suit the individual needs and spirit of each client. Stacy Miller Design assists in the renovation of existing homes, as well as designing new construction homes from conception through final installation. For Eve Glass Beres, owner of Beres Design Group, a connection to the elegance and grandeur of architecture and design began at an early age. By the time she was in college, she learned to think of the environment in layers and the personal connection within those layers. As an interior designer, Eve considers interior spaces as canvases for the lives of her clients and she is thrilled to be a part of this collaboration. Drawing on innovation, inspiration and a commitment to excellent design, her goal with each project is to create a space that truly reflects her clients’ vision. Petron Design is a premier home, business, restaurant and country club interior design firm based in Palm Beach County, Florida. We have clients nationally, with a concentration in the Southeast and Northeast; current projects are in New York, New Jersey, Georgia and Florida. Petron Design's skilled consultants will decorate your home or business with interior accents, which will enhance your lifestyle and productivity. Only the latest modern design concepts are used to achieve the style you are seeking. A good home design professional will hone your style down to its very essence and be able to choose a functional layout that feels natural to you. Interior design companies can be involved as much or as little as the client desires. Many clients who hire an interior decorator in Juno Beach, FL — particularly those who are remodeling — have a good sense of how the room should look and what products they should use. Often clients will insist that interior decorators use the products already present in the house. Other times a designer will need to start from scratch — especially if this is a newly purchased or just-built home. An interior design company will need to figure out exactly what the client needs, which includes organizing rooms, picking flooring and wall colors, and finding furniture to complement it all. Sometimes that means he or she will have to recruit help from other Juno Beach, FL home professionals to help create the perfect look for your renovation. Here are some related professionals and vendors to complement the work of interior designers & decorators: Architects & Building Designers, General Contractors, Home Builders, Design-Build Firms, Photographers. Do your research before meeting with an interior designer or home decorator in Juno Beach, FL. Ask yourself what you want your space to become and what it will be used for. Figure out the extent of what you need help with, what your must-haves are and what your budget is. Interior design services can add up fast, so be up front with a potential design firm or individual from the beginning. Also, pick an interior decorator that fits your style. Browse through the portfolios of different Juno Beach interior design firms and decide if you would live in those houses. Just because you like something doesn’t mean you could live in it. There's a big difference! Find an interior designer or home decorator in Juno Beach, FL on Houzz. 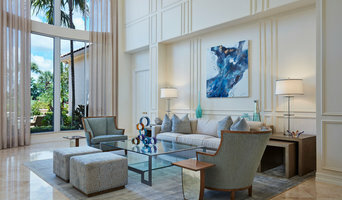 Narrow your search in the Professionals section to find Juno Beach interior designers near you. 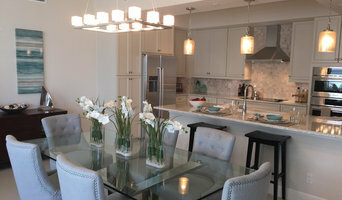 You can also look through Juno Beach, FL photos to find a room you like, then contact the design firm who designed it.